© Ivanna Buldakova – Fotolia.com All rights reserved. PHILADELPHIA — Infants who sleep at night in a bedroom with a light on may be at higher risk for nearsightedness later in childhood. A collaborative study by researchers at the University of Pennsylvania Medical Center and The Children’s Hospital of Philadelphia found that children who slept with either a room light or night light on until age 2 were more likely to later develop myopia (nearsightedness), compared to children who slept in darkness. Graham E. Quinn, M.D., a pediatric ophthalmologist at Children’s Hospital, and Richard A. Stone, M.D., of Penn’s Scheie Eye Institute, announced their findings in the May 13 issue of Nature. Both family history and environmental factors are thought to be involved in causing myopia. “Myopia is largely a disorder of industrialized societies,” said Dr. Stone, adding that myopia raises the risk of retinal problems, glaucoma and blindness in later life. In myopia, images focus in front of the retina instead of directly on it, largely because the eye has grown too long after birth. Prior research had shown that the eyes of chicks require a daily period of darkness to grow normally, and the researchers thus decided to study nighttime light exposure in children. They specifically asked about light exposure in the first two years of childhood. The eye normally develops rapidly during the early years of life even though myopia is usually detected much later. 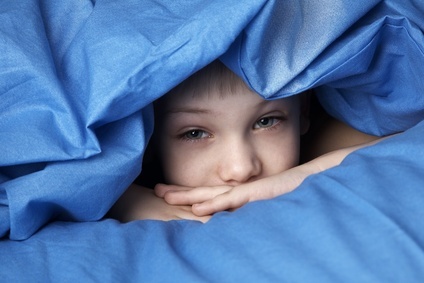 “Lighting may have an influence during sleep because small amounts of light pass through the eyelids even when they are closed,” said Dr. Stone.Additional authors of the paper were Maureen G. Maguire, Ph.D., of Scheie and Chai H. Shin, M.D., then a clinical fellow at Children’s Hospital. Primary funding for the study was provided by the National Eye Institute of the National Institutes of Health, with additional support from Research to Prevent Blindness, the Pennsylvania Lions Sight Conservation and Eye Research Foundation, Inc., and the Ethel Brown Foerderer Fund for Excellence at The Children’s Hospital of Philadelphia. The Children’s Hospital of Philadelphia, the nation’s first children’s hospital, is a leader in patient care, education and research. This 406-bed multispecialty hospital provides comprehensive pediatric services to children from before birth through age 19. The Children’s Hospital of Philadelphia admits more than 16,00 patients and cares for more than 50,000 emergency and 500,000 outpatient visits annually.